Madhya Pradesh (MP) GK Quiz No. 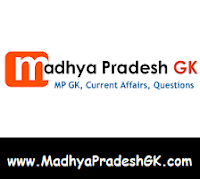 4 with Answers : Madhya Pradesh (MP) Samanya Gyan Quiz, Hindi GK Quiz Objective Questions with Answer for all competitive examination of MP State Government, MPPSC, MP Policem IBPS, SSC, BSF, Police Bharti, Teachers Exam, Admin services, State PSC, Bank, IBPS, CTET, MPTET and other examinations. This Madhya Pradesh (MP) GK Quiz or MK GK Sample Paper Question and Answers is based on MP SI Exam Paper 2012 held in previous years. Here is Sample Question Paper for all competitive examinations. Q.1 Which country in Europe is called the ‘Land of Midnight Sun? Q.2 Swami Vivekananda gained fame and recognition in the Western World after his address to the World Congress of Major Religions in 1893 In which city was this congress held? Q.3 Where was Mother Teresa born? Q.4 Who was the first navigator to circumnavigate the Earth by the sea route? Q.5 Which of the following countries was discovered by the famous Portuguese navigator Vasco da Gama? Q.6 What is an ecosystem? Q.7 Malaria affects lakhs of Indians every year Which part of the body is damaged by this disease? Q.8 How does the Sun get its energy?? Q.9 The Shahnama written by Firdausi tells the tale of kings of one country Which is this country? Q.10 Which of the following statements is correct? Q6. Ecosystem=biological entities and their environment. Q7. In early stages only red blood cells get affected. Later, Malaria mostly affects liver and spleen causing hepato and spleenomegaly. Also in advanced cases brain also gets affected causing cerebral malaria.